We, at Shree Mohans Karachi Sweet Mart offer high quality Kaju Katli. Known for its delicious taste, our Kaju Katli is appreciated in the market for its delicious taste. Hygienically made, our Kaju Katli is fresh and is very soft. Our experts use traditional methods in the preparation of Kaju Katli that are safe to consume. 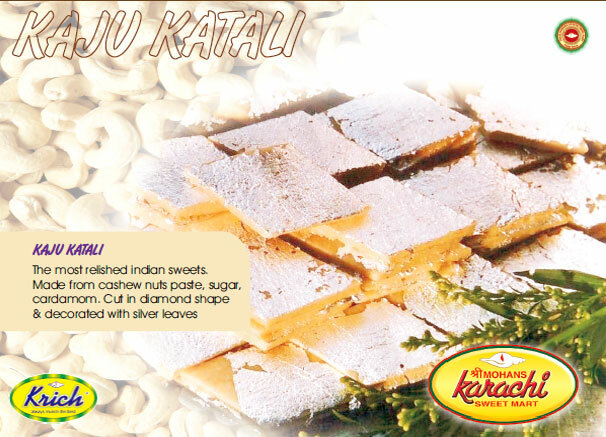 We are a prominent Kaju Katli Manufacturer, Exporter and Supplier in Pune, Maharashtra.